Perhaps you’re expecting a new addition to your family or maybe you are preparing for a visit from a friend with small children. Here are a few tips for babyproofing your home to help keep the little ones safe. Power sources are dangerous for babies so you should block access to electrical outlets. Relocate any electrical wires to move them off the floor. Tuck wires into moldings or secure cords to the walls. Power cords can cause you to trip while carrying a child and pose safety hazards to small kids who may chew or tug on the cords. Place baby gates in front of radiators, heaters, and fireplaces. It is often hard to see which normal household items may pose a threat to newborns or small children. For example, the hanging fabrics in your home like drapes, tablecloths, and shower curtains. Shorten your curtains so that small children cannot pull them off the wall. Remove your tablecloth. A baby may tug on the fabric and pull items off the table. Place dangerous items out of the reach of children. Relocate cleaning supplies and house plants that may pose a risk to a baby. To best babyproof your home, make your furniture safer. Protect little ones from sharp edges or corners by using padded covers or corner protectors. Place cabinet and drawer locks on all areas with products that are hazardous to babies, especially those containing cleaning products or chemicals. 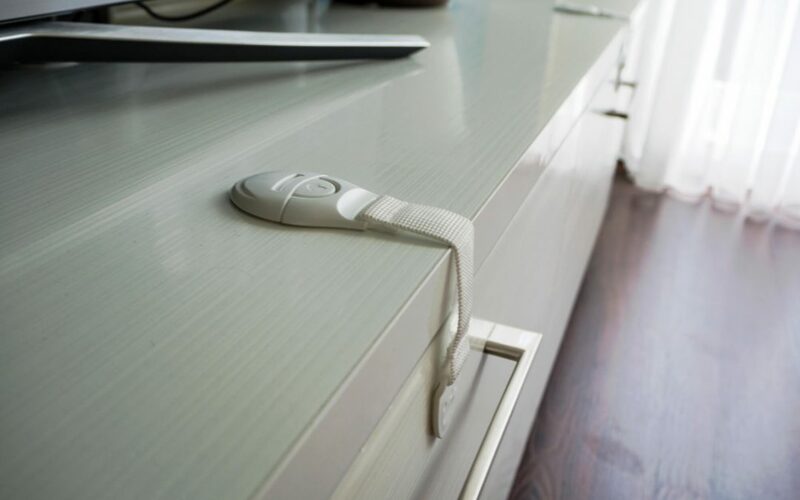 Install babyproof security locks on windows, toilets, and the refrigerator. Talk to a pediatrician about other measures for babyproofing your home. He or she may have a list of things to consider as you prepare your house for little ones. Jones & Cooper Home Inspections provides home inspections in the Metro Louisville area. Contact us to schedule an inspection.